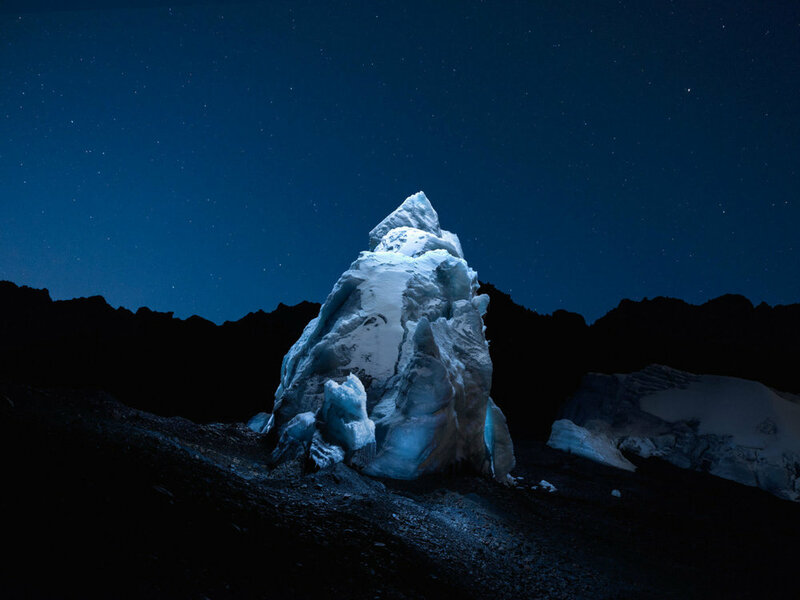 Surreal photographer Reuben Wu continues to dazzle with his latest series Lux Noctis. 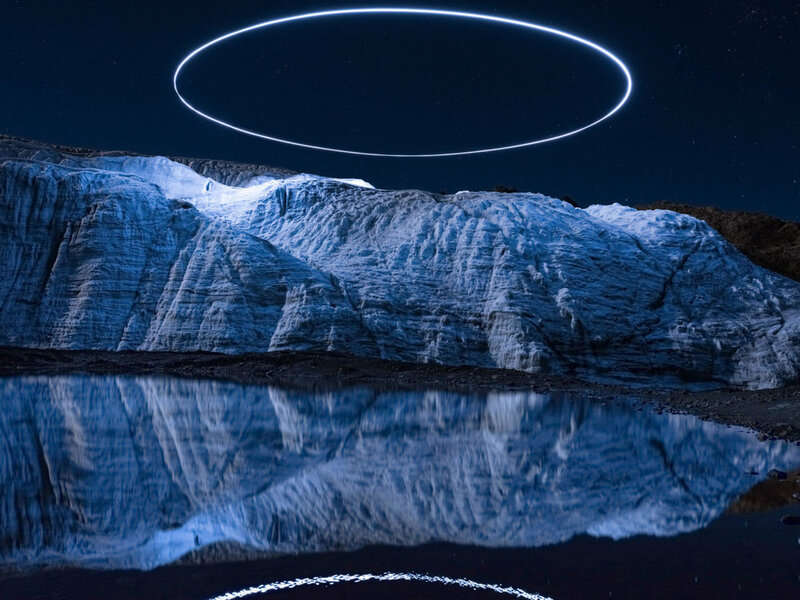 Captured in the Peruvian mountain range, Cordillera Blanca, the artist utilized lighted drone patterns to highlight the terrain’s rare tropical glacier. Sitting 17,000 feet above sea level, the Pastoruri Glacier has been retreating at an alarming rate. 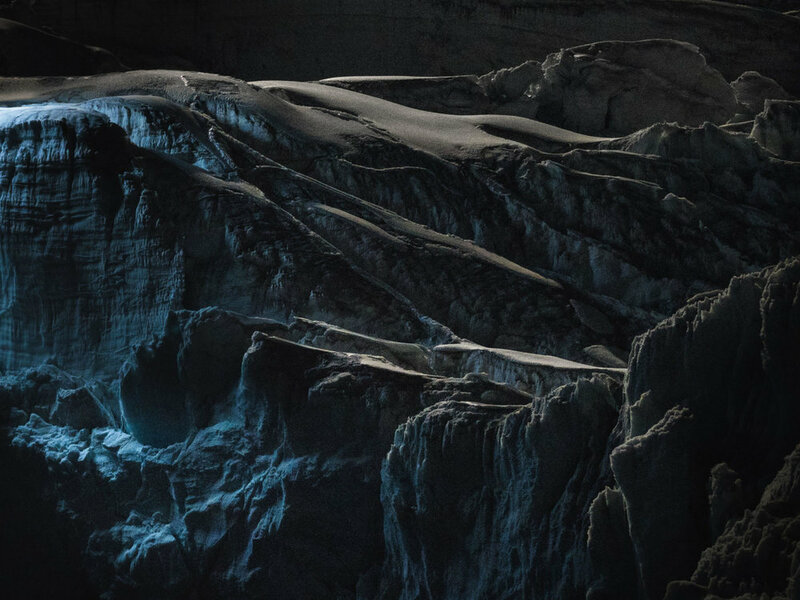 Wu’s images focus on both the grand scale of the remaining ice while still highlighting how much of the natural land formation has been lost due to rising global temperatures. The entire Lux Noctis series will be published in a book, which you can pre-order here. 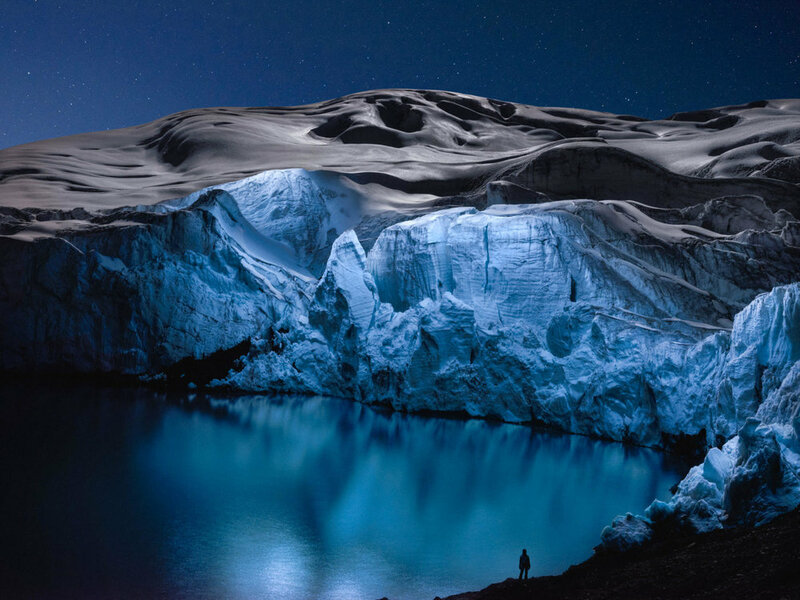 You can also follow the photographer as he researches, scouts and travels to the extremely remote location through a short film on Great Big Story.